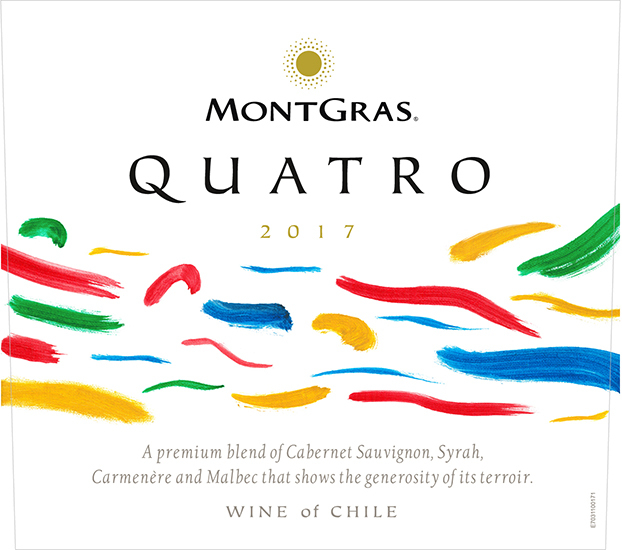 Quatro is a work of art; every year the composition of the blend and the label change. For this Limited Edition, in celebration of Quatro´s 20th anniversary, we chose Chinese designer Mr. He Peng Fei and his work titled “Overlook the mountains”. 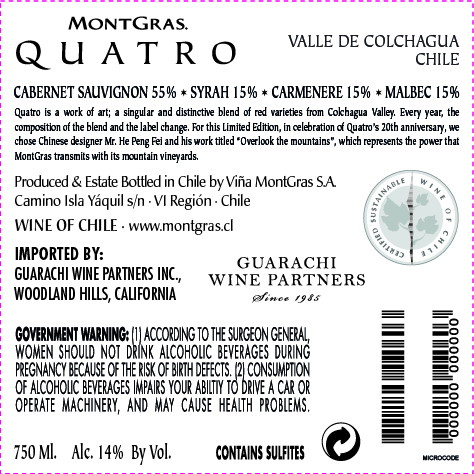 VARIETALS: 55% Cabernet Sauvignon, 15% Syrah, 15% Carmenere and 15% Malbec. AGING: 100% of the wine was aged in French barrels for 5 months. Quatro is a blend that achieves a perfect balance between the varieties it is made of. Clean, it is a shiny, bright red colour with aromas of ripe red fruits in their maximum glory. It has a juicy and round mouth, and the tannins provide it with a very good structure. There are upfront blackcurrant notes, with subtle spicy notes in the background that add elegance. This is a tremendous and unique wine. Enjoy this wine with barbecued marbled red meats, duck breast, and pasta dishes with creamy sauces.